The Guerillas of Destiny and the Briscoes are bound to meet for the ROH tag team titles somewhere down the road. 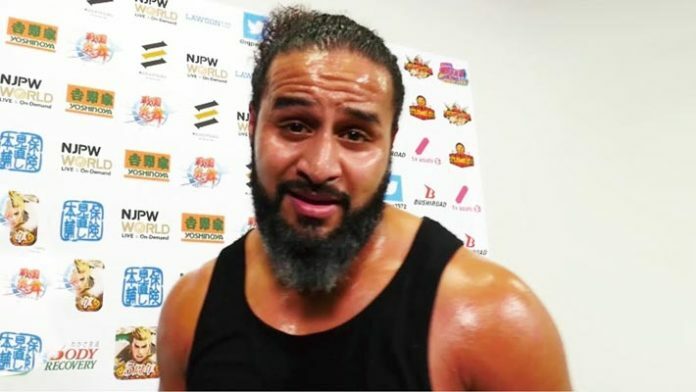 Tama Tonga and Tanga Loa won the ROH World Tag Team championships at G1 Supercard. They also successfully defended their IWGP Heavyweight Tag Team titles in the same match. Despite this, headlines concerning their bout in MSG centered around the post-match invasion by Enzo and Big Cass. The Briscoes had cut a promo on the GoD earlier in the week as well. In the video, Jay Briscoe referred to NJPW’s World Tag League as the most boring tournament he’s ever seen. Tama Tonga and Tanga Loa aren’t actually in possession of the IWGP Heavyweight Tag Team championship belts. Those were stolen by Toru Yano. The Guerillas of Destiny will face Yano and Togi Makabe for the titles on April 29th. At the Road to Wrestling Dontaku show on April 22nd, the Tongans will have a chance to win the 6-Man tag team titles as well. It will be the 3 brothers of Tama Tonga, Tanga Loa, and HIKULEO going up against the champions Toru Yano, Ryusuke Taguchi, and Togi Makabe. Previous articleWhat’s Going On With Sasha Banks?